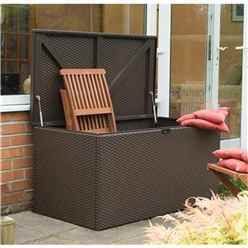 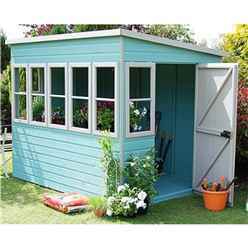 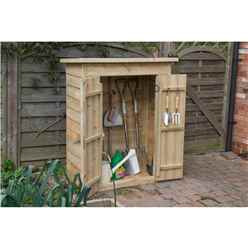 Storage in your garden is vitally important. 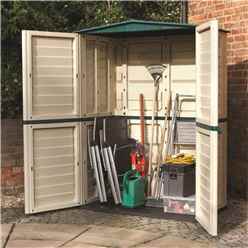 If you have a busy family, having somewhere to store toys and other items after a long afternoon means that everything is tidy and manageable. 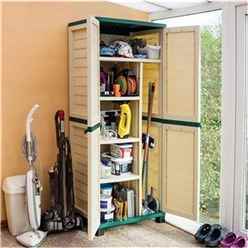 If you have a number of tools, you need somewhere to put them. 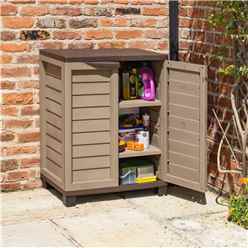 But storage is also about many other aspects, including the day-to-day living you do in the home and garden. 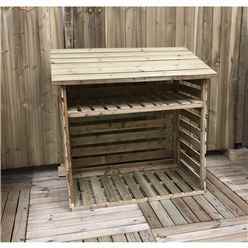 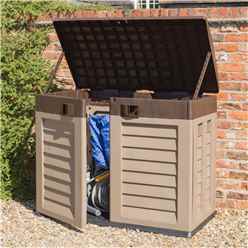 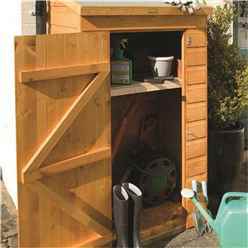 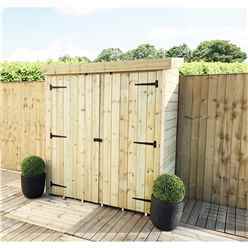 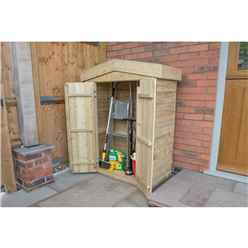 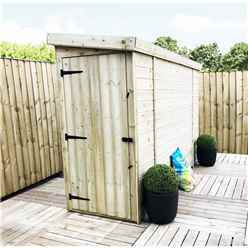 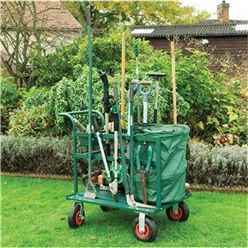 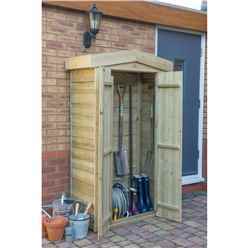 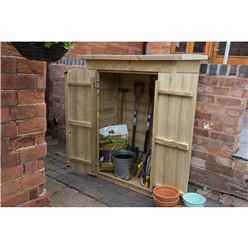 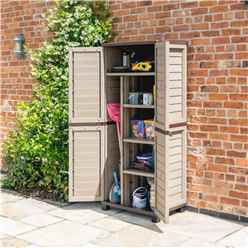 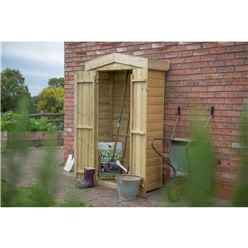 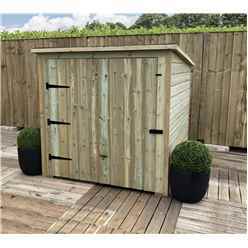 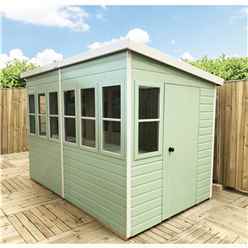 In this section, you will find storage solutions for everything outside, from wheelie bins to logs, and including the tools you use to keep your garden ticking over. 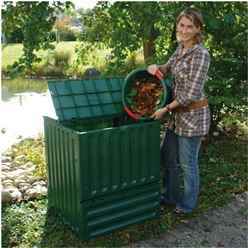 If compost is a big part of your gardening routine, you need a composting solution that is easy to use and efficient. 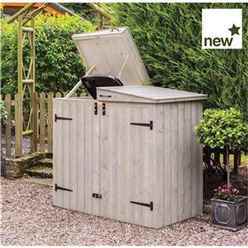 The Kimbolton Select Eco King Composter 600 is the perfect answer. 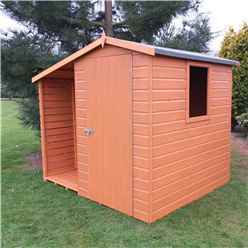 It is UV stable, so it won't suffer fading, or cracking. 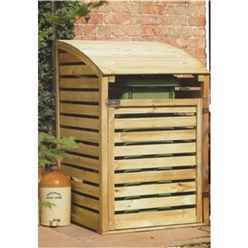 Handy base flaps allow for a quick and easy way to withdraw compost. 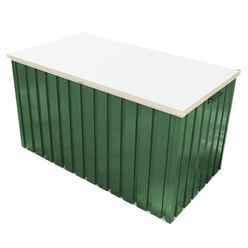 Best of all, it is extremely easy to put together, with a click connection facility that allows for speedy construction. 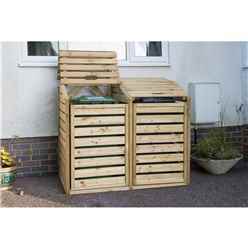 It is the perfect answer if you are using compost on a regular basis and want a clean and efficient way to manage it. 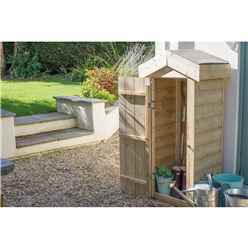 It also looks great too, and is therefore an excellent addition to your garden. 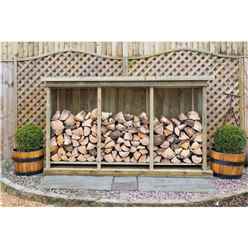 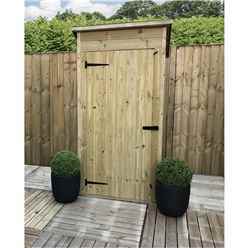 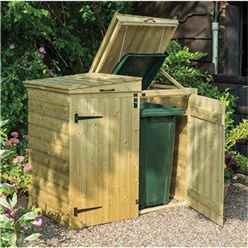 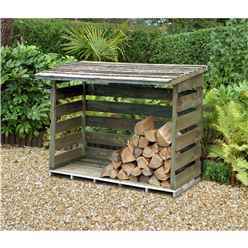 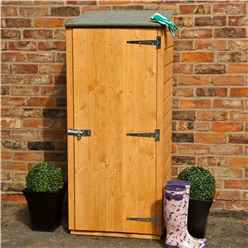 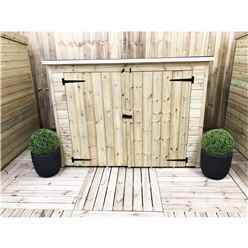 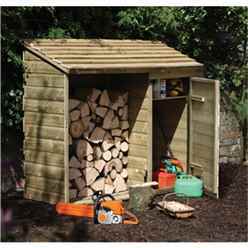 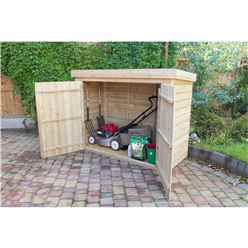 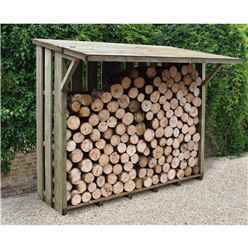 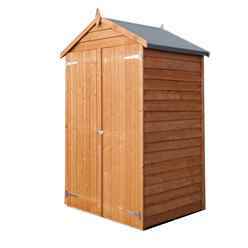 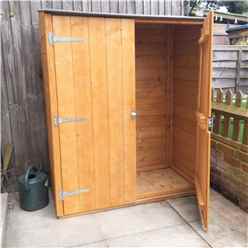 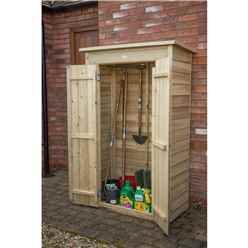 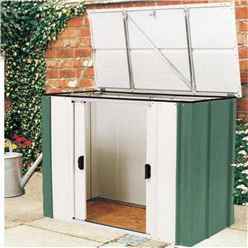 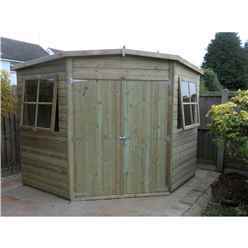 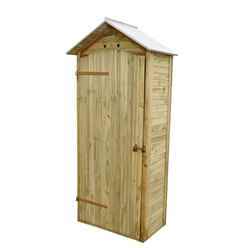 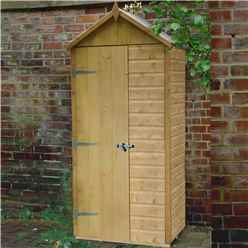 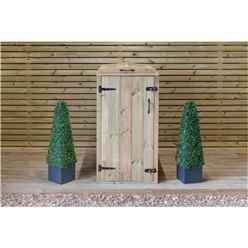 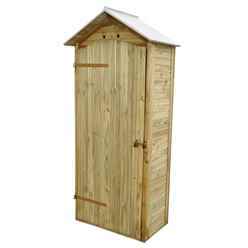 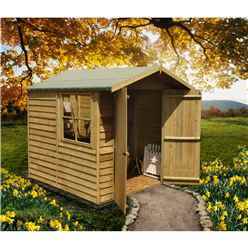 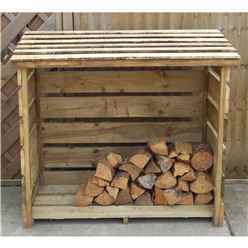 The Oundle 4 x 2 pressure treated log store is an excellent example of a high quality product that allows you to manage logs. 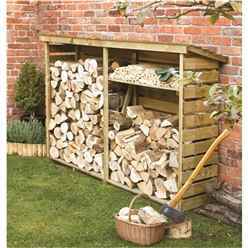 Logs can be difficult to protect throughout the year, and keeping them dry is only the start of it. 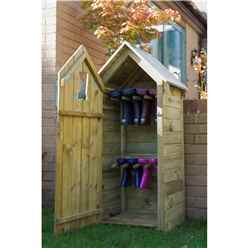 You need them to be stored somewhere clean and safe from damp and rot. 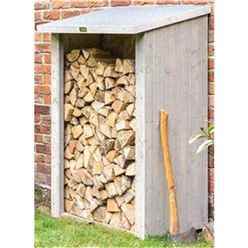 This log store is pressure tested, which means it has been treated at the factory to ensure that damp is never going to be a problem. 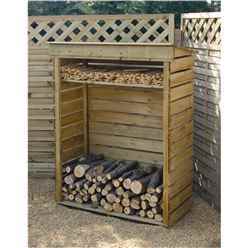 This not only keeps the store safe, but also your logs. 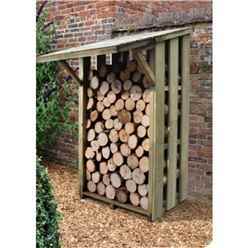 That means logs that burn well all year round. 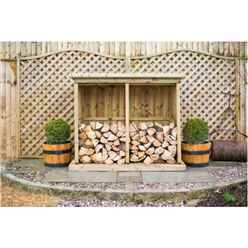 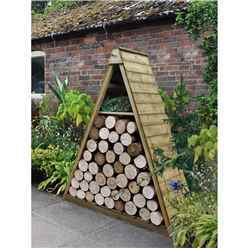 Tremendous value, the log store is an obvious solution if you have a burner. 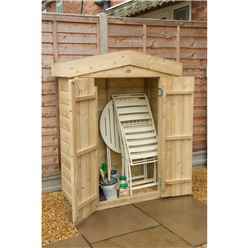 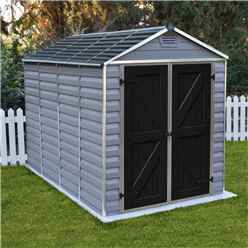 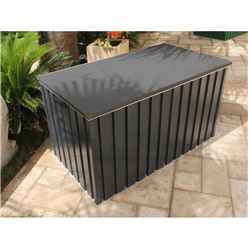 One of the most practical products on this page is the 2 x 2 tongue and groove garden store by Eaton. 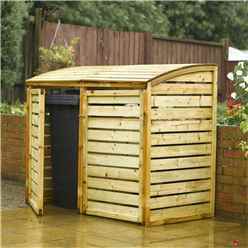 The tongue and groove work ensure that the store is dry and safe from damp and rot. 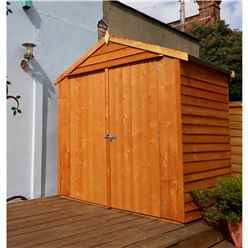 The tongue and groove also gives you a store that is tough. 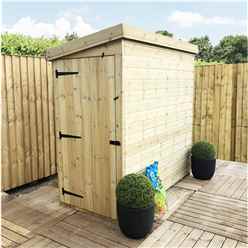 Each timber panel is locked into the next, providing much more weight and solidity than in other stores. 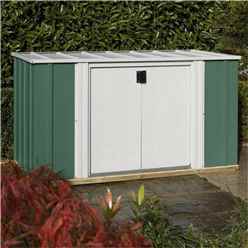 So that makes for a much tougher solution.The pent roof and tall dimensions bring you a unit that you can place against a wall, and comfortably store taller tools and equipment in. 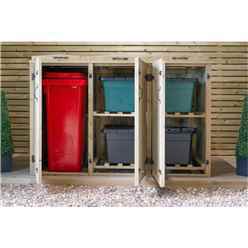 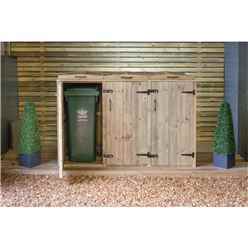 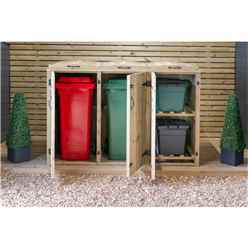 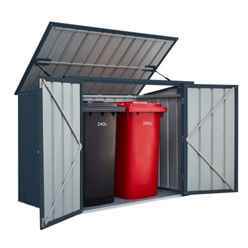 Clayton-Dale brings you wheelie bin storage that you can rely on. 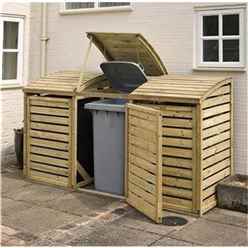 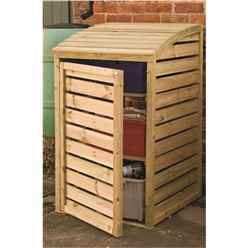 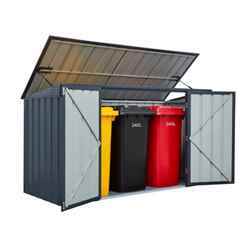 Their pressure treated wheelie bin store for a 240 litre bin is tough and durable. 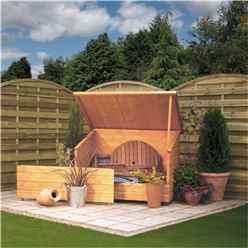 The pressure treatment really adds massive value, and ensures that the store won't fall prey to any damp or erosion. 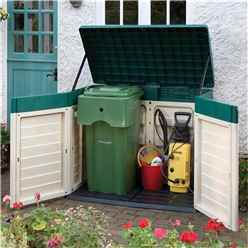 Instead, you can simply store your bin all year round with complete confidence. 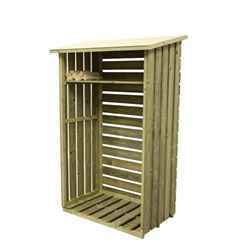 It is a free standing store, but you can also anchor it to the ground for extra stability. 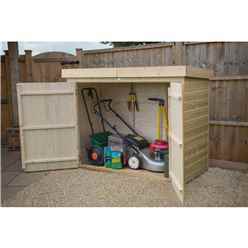 It comes flat packed too, so it can be constructed quickly. 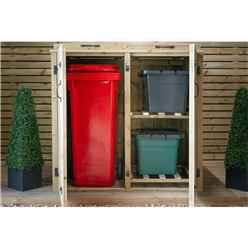 An attractive solution to storing wheelie bins, this store is a real bargain. 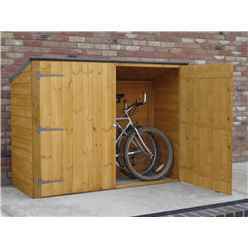 The Oundle 6 x 4 pressure treated bike store is another example of a high quality product that has some great features. 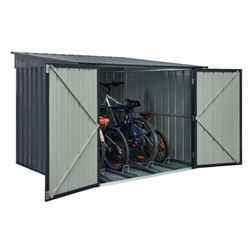 It has mineral roofing felt for extra protection against the wet, which is crucial if you are storing bikes. 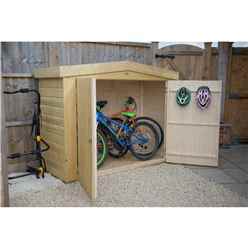 The large double doors have a 54” wide opening and this means you can easily wheel in your bikes after using them. 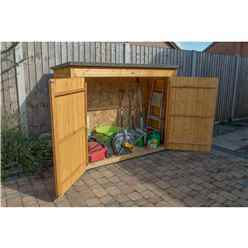 The floor has been constructed using 10mm solid OSB, so you can rely upon the building to stay robust, with a floor that doesn’t buckle under the weight of the bikes. 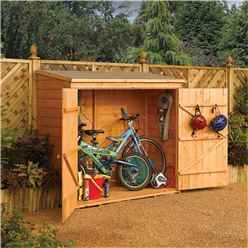 It’s a durable, tough and very attractive solution to bike storage and it also comes with a 10 year warranty against rot. 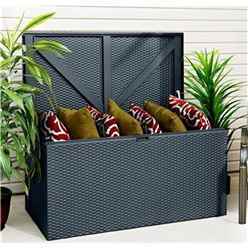 Sometimes its important that you just have a simple and useful storage box. 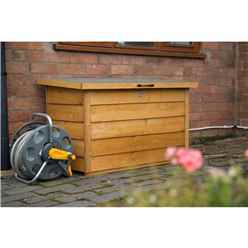 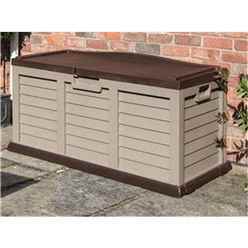 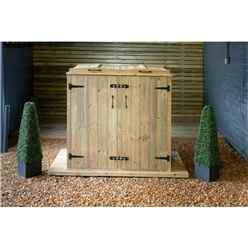 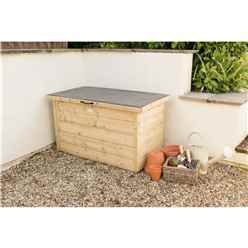 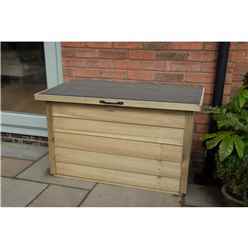 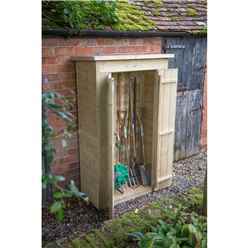 And the Stoke 4 x 3 wooden storage chest is a perfect solution, with plenty of features that make it a useful ally against your storage problems in the garden. 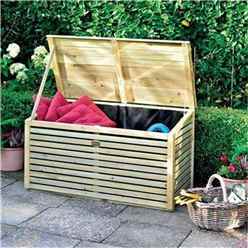 One of the best things about the chest is the large opening lid, which allows easy access and plenty of space to get those large items in. 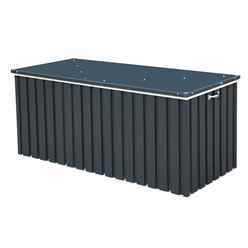 The box has been finished with a factory applied treatment too, so you have plenty of durability. 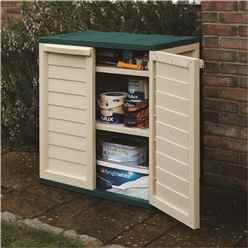 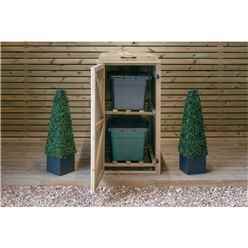 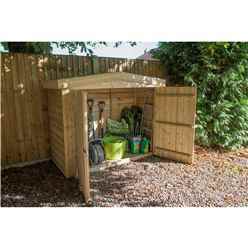 All of these products are excellent additions to your garden storage, and they will help store all of those important garden items all year round.